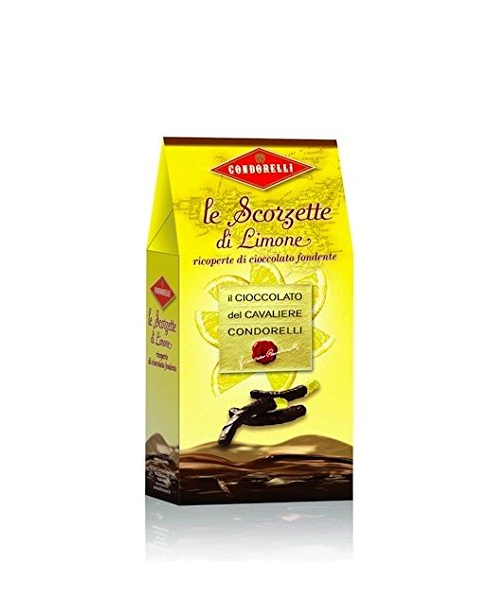 Candied Lemon Peels by Condorelli Company are covered with a thin layer of dark chocolate and they are perfect for serving at tea time. 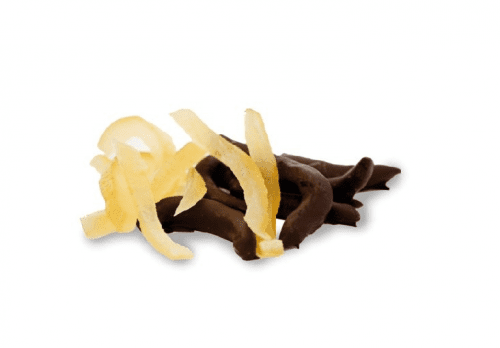 Candied Lemon peels in Italy are very used during Christmas time. The acidity of lemon meets the sweetness of chocolate for a unique and tasty mix. Ingredients: candied lemon peels (74%) (lemon peel (52.6%), glucose-fructose syrup, sucrose, acidifying agent: citric acid E330), dextrose; Deep chocolate coating (minimum 50% cocoa: cocoa paste, sugar, cocoa butter, anhydrous butter, emulsifier: soy lecithin, vanillin). Condorelli was founded1933 in the province of Catania, in Belpasso a small city in the beautiful island of Sicily. 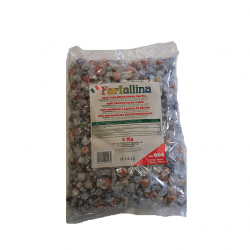 The company make confectionery products with the best local raw materials and using traditional recipes. 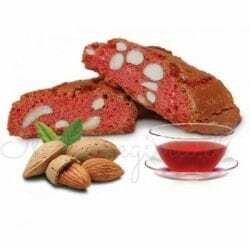 The production diversifies itself in a number of products: puddles, chocolate, almond and pistachios, all made with quality raw materials such as Sicilian Almonds, Bronte pistachio d.o.p. and the sweet Honey of Zafferana Etnea. The story of the company which is linked with the social dynamics of Italy that will know the economic boom in the Second World War is, therefore, a story that is related to the territory but also to the tradition. 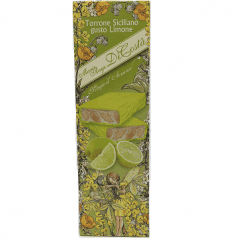 In fact, the soft and little Torroncino will become one of the symbols of the Italian confectionery tradition, immediately gaining unprecedented success from Italy until it reaches the foreign market as well.